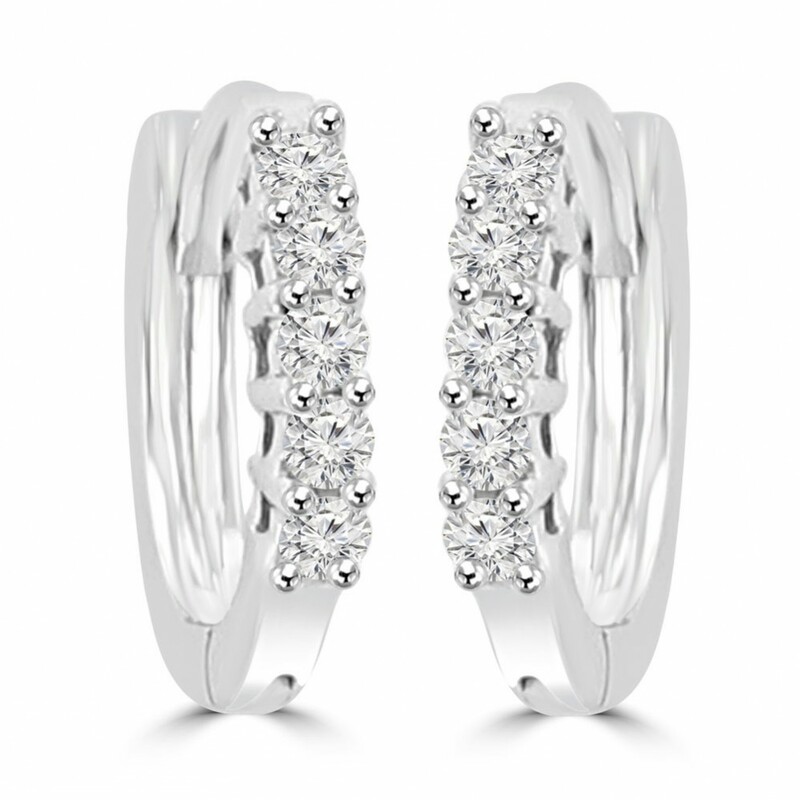 Sparkling diamonds are placed in this new pair of huggie earrings. 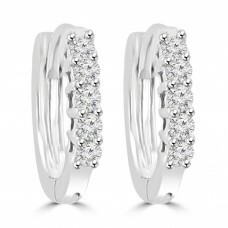 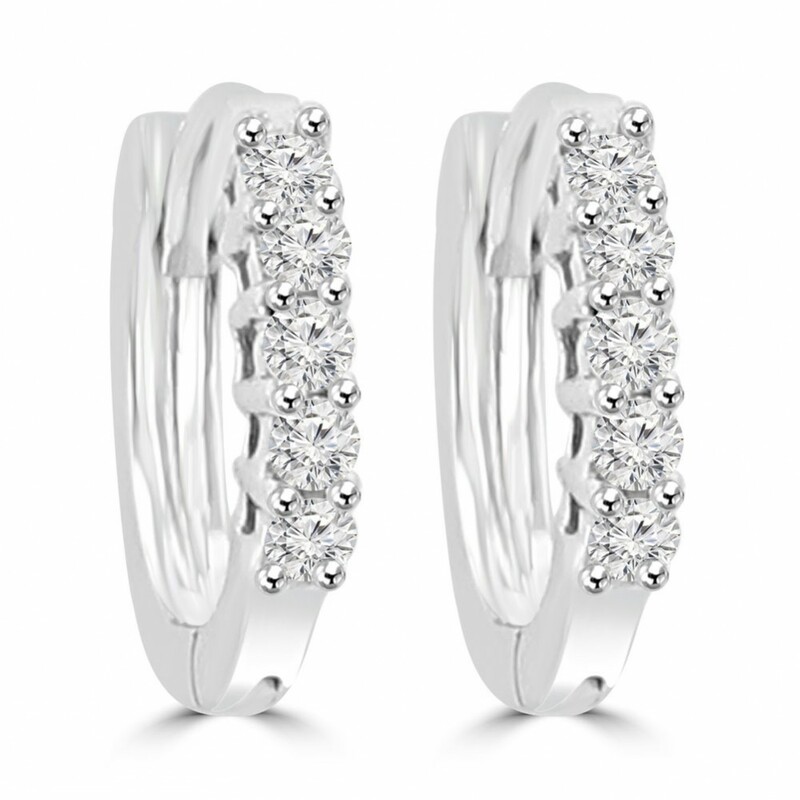 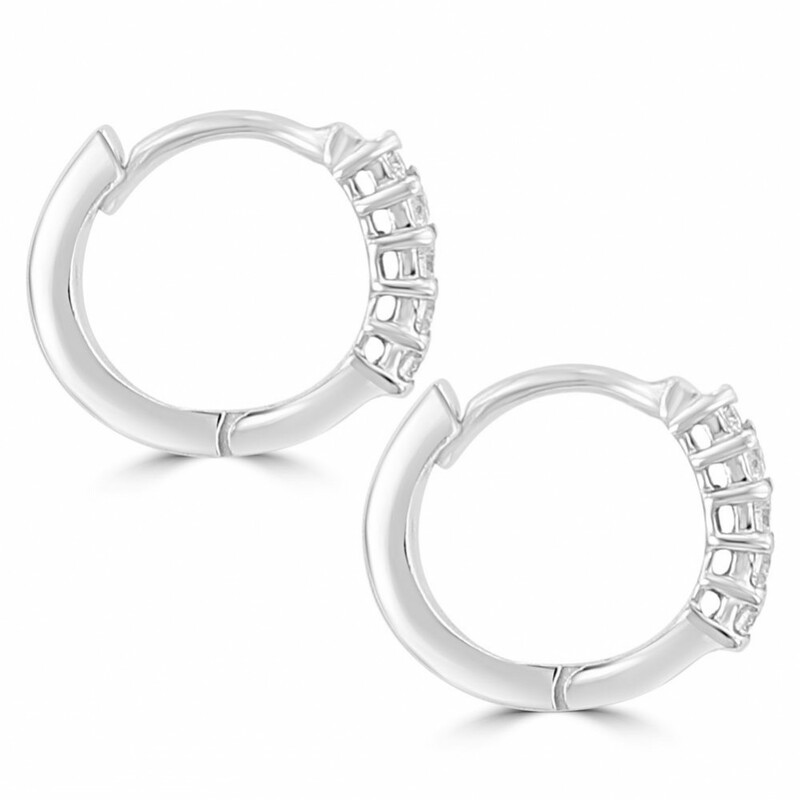 They're set in 14k white gold with 0.38 ct of round diamonds. 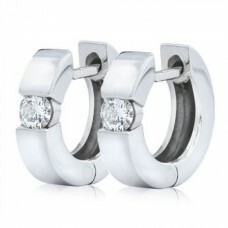 An excellent quality prong setting showcase the stones beautifully on the inside and outside of the pair. 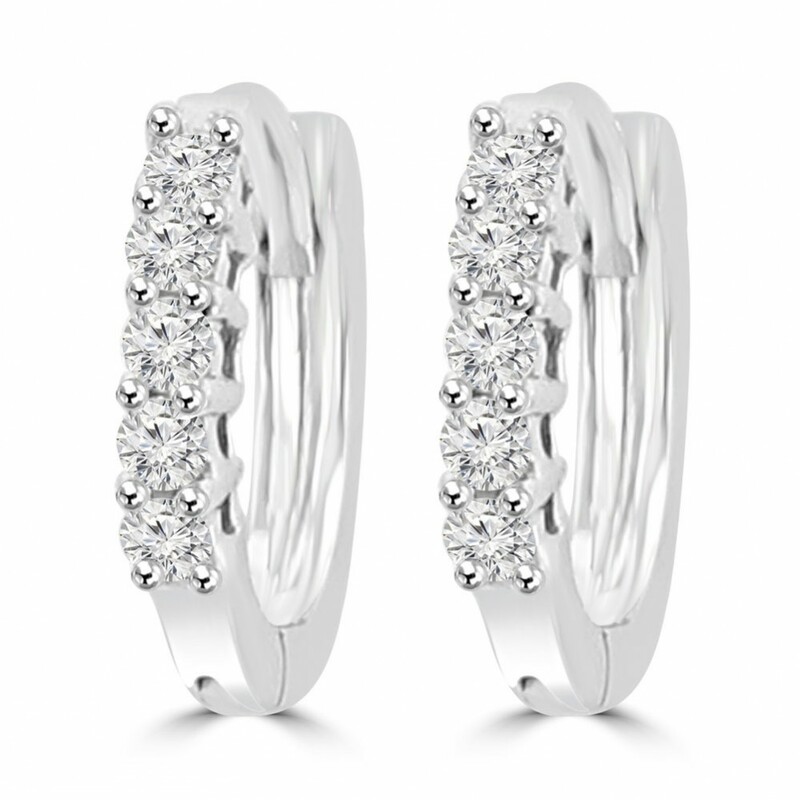 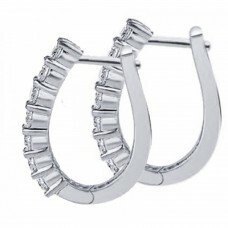 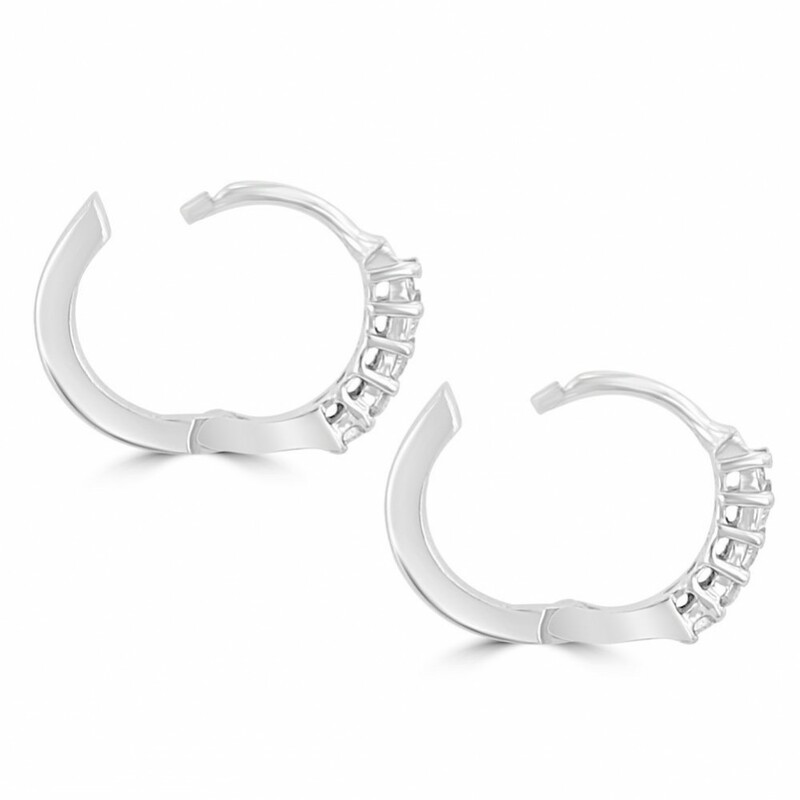 We offer a 30 - day return policy with this magnificent pair of earrings.